Home » News » Posts » A nice Easter Egg! 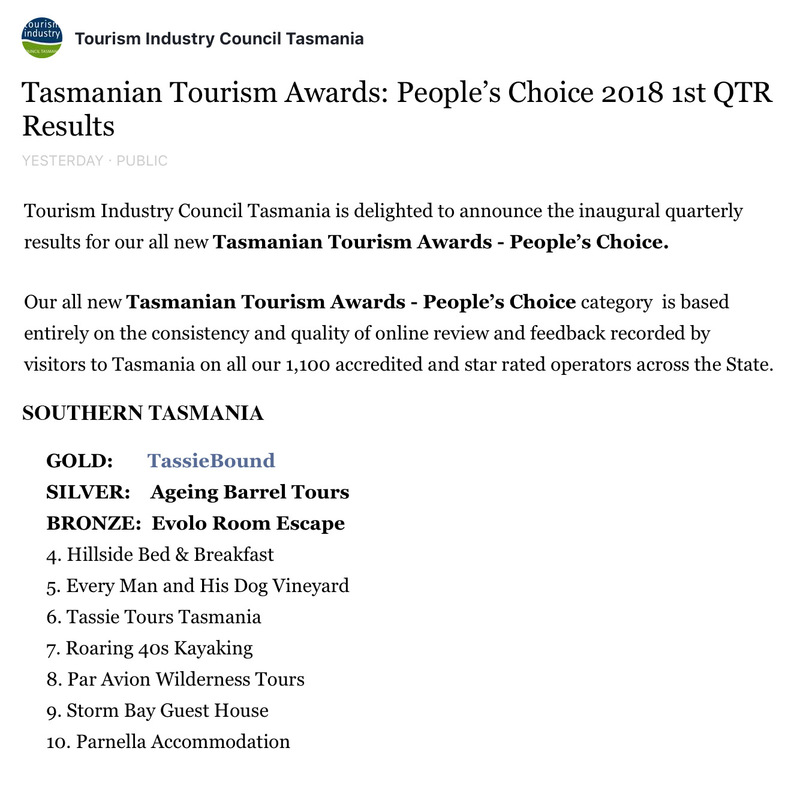 The Tourism Industry Council of Tasmania announced the results of the first quarterly People’s Choice Awards of accredited tourism operators in Tasmania. And we made it into the Top 10 for Southern Tasmania … in the company of some superb operators!